Still hungry to take a road trip abroad this spring or summer? If you’ve been following this series, you know there are a lot of things you need to understand before you jump into a vehicle with keys in one hand and your passport in the other. Don’t get discouraged — you won’t encounter all of these “issues” on every drive. But, since life on the road can be unpredictable to say the least, being aware of these pitfalls and potholes can keep you out of trouble almost as much as, well, wearing your seatbelt. So buckle up and take one last ride down the path of precautions — and remember, there’s no yield sign for common sense. In many popular urban areas, there are (of course) a lot of pedestrians – and not a whole lot of stoplights. And where there are stoplights, pedestrian crossings and/or lights may be nonexistent. Many people on foot can be downright reckless once they’ve gotten used to this situation, and they decide to “take the power back into their hands.” You will see people wading into six-lane traffic a few feet at a time, with all the care and worry as if they’re playing a live-action video game. It’s their fault if they get hit, right? Um, usually not. In many countries, if you hit a pedestrian, you’re deemed automatically guilty even if some guy leaped right out in the street in front of you (and you were driving like a saint to boot). You may face serious criminal charges or other legal liability. Understand the laws, avoid driving near malls, parades, markets, etc., and keep one foot perpetually ready to slam on the brake when venturing into pedestrianized areas. Even where people drive like maniacs (no, no, I’m not thinking of Germany, or Saudi Arabia), speed limits exist not only in an attempt to control the chaos, but to, well, extort money out of distracted drivers. Speed traps are as ubiquitous as speed limits; many times they are synonymous. Speeding is one of the most enforced traffic laws of all, with both police units and cameras. Crooked and/or lazy cops love to set speed traps in scenic areas because they know guest drivers are looking around, and are distracted from the speedometer. One thing that varies by country is how much grace you are given above the speed limit before actual consequences kick in. In some countries or regions you can go 10 miles or kilometers over the speed limit and not raise a cop’s eyebrow; in others, one notch above the listed limit and a self-righteous policeman is ready to jump on his motorbike. Your most reliable source of info regarding local speed traps is probably your hotel receptionist; tour books are probably not going to be that specific. Unfortunately, some of the places in the world with the cheapest fuel also have the most frustrations when it comes to actually filling up your tank. First off, the consistent availability of gas stations isn’t a given; you may encounter five gas stations in the same two miles, and then none for a very long suburban stretch. It’s therefore recommended to fill your tank often, even if it means breaking your momentum when you’ve finally gotten out on the open road. When you do get to a station, lines can leave you hanging precariously out into the street, and you may have to be aggressive to nab a spot next to the pump. It usually doesn’t take long to notice if a gas station is full- or self-service. If the latter, beware when actually handling the pump and hose, as many may be in poor shape and send a stream of gas across your feet. 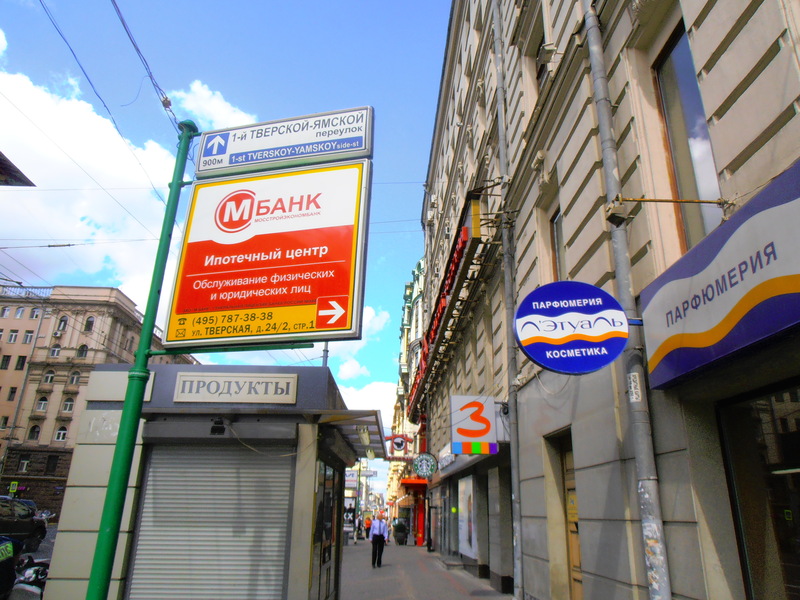 Increasingly common – much to the chagrin of visiting tourists – are stations that only accept credit or debit cards issued by banks in that country. These are usually unmanned, so try to pick a gas station that at least has an attendant milling around to minimize getting stuck with your wad of cash and empty tank. In many countries, an officer may only stop a motorist for an actual violation. In others, they may stop you for no reason at all except to check your documents. Keep your cool if you’re pulled over and remember to keep your passport, the rental car registration, and your driver’s license ready to show. Finally, avoid getting out of the car unless the officer makes it clear that you’re expected to do so. Most countries share land borders with at least a couple other countries, and in most cases, there are roads running from one country to the other. Generally, these borders can be crossed by anyone in a motor vehicle, and thankfully in many cases, you’re allowed to drive a rental car across an international border. This is the case for the United States and Canada, and in most of Europe. In some countries, however, it’s difficult or impossible to drive across the border. In Israel, for example, you’re generally not allowed to drive into neighboring countries. To know if you’re allowed to make an international border crossing, examine your vehicle’s rental contract. If you’re planning a trip across multiple countries, you may have to go with one of the big-name companies (Budget, Avis, etc.) with the more flexible policies. Be aware that there are some bordering countries that don’t have any roads connecting them, even though they share a land border. There’s usually a good reason for this: natural terrain (such as a rough mountain pass); a rich country-poor country scenario in which the latter country can’t afford to lay road base; security reasons; or neighboring countries that just plain hate each other, or simply the lack of desire among one or both governments to build such a road. Examples of regions with a lack of road connectivity are South America, many parts of Africa, and Central Asia. Where you can cross the border, be aware that it’s not uncommon for there to be a very long line at the crossing. Try to get information from your hotel or travel agent on how long you might spend at the border crossing and factor that into your travel time. While the distance itself may seem short, you may need to add several more hours to your travel time to factor in time spent at the border. In many places, it could be several hours, and this can make a day trip to the other country rather impractical. 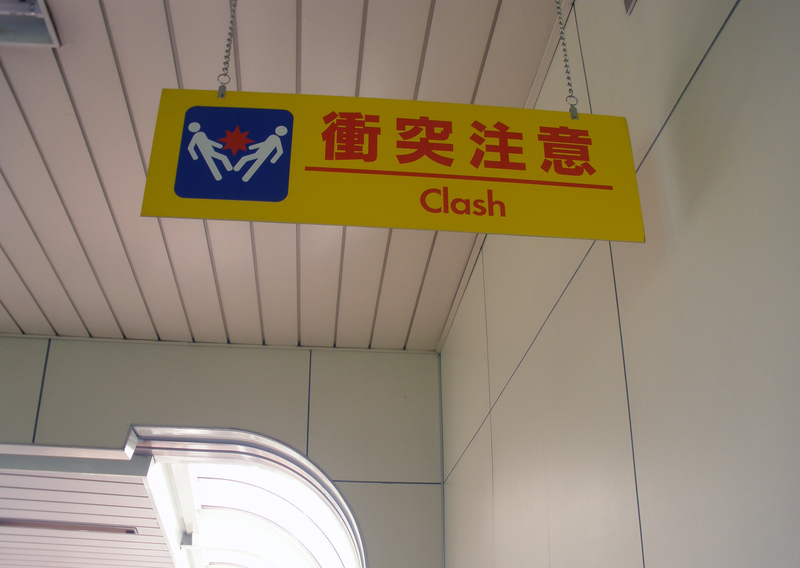 Finally, keep in mind that some border crossings have limited hours of operation, such as during daylight hours only. Plan ahead, or the hotel you booked on “just the other side” might be counting you for a no-show. Many of us have grown addicted to GPS systems to help us navigate, and while it’s readily available in North America, Europe and East Asia, it may be altogether absent in the countries where you could use it the most. If you don’t want to throw back to the Stone Age and use a paper map, try using Mapquest or Google Maps on the road or shortly before your trip – but be aware that many mobile phone providers make it difficult to use your smartphone in a foreign country. Finally, be aware that GPS units make very hot theft items in many foreign countries. Don’t under any circumstances leave one in your rental vehicle overnight, even if you’re parked at an upscale hotel. We take for granted that cars come with the things that they should. I’m not talking about iPod docks, Bluetooth, or even automatic windows and air bags, but true necessities like hazard lights and head rests to save your neck in case you are in an accident. If you plan to drive in a developing country, you should check a rental car for the following before signing on the dotted line. Don’t count on your rental car having cruise control, but if it does, make sure you know how it turns on — and how to disengage it. Also, be sure you understand how to open the hood and the gas tank before you drive off. Remember, given the number and variety of auto manufacturers around the world, you may be renting a car that you have never seen or heard of – look closely to make sure it has what you expect to come on a “car”! Keep your patience on those long, frustrating roads, and you will eventually be rewarded with the stunning scenery you came for! Hungry to take a spring road trip someplace exotic? Read up before you give Hertz or Avis a call, and remember, a drive around another continent can be a wonderful adventure as long as you’re prepared. So, here’s this week’s run-down of things you need to understand before deciding to drive abroad. Having to actually park your rental car can take a lot of the joy and convenience out of having a car in the first place. This is particularly the case in Europe, where you can finish your nice leisurely drive through Tuscany or the Alps with a two-hour search for a spot within a mile of the restaurant you’ve RSVPd for dinner. Many cities around Europe have restricted areas, or “forbidden zones,” where driving AND parking is restricted in a particular area – oftentimes, a good chunk of the city. Depending on the city, driving and parking may be open only to those who purchase a permit – a bureaucratic exercise that you probably didn’t have time for before you left home. 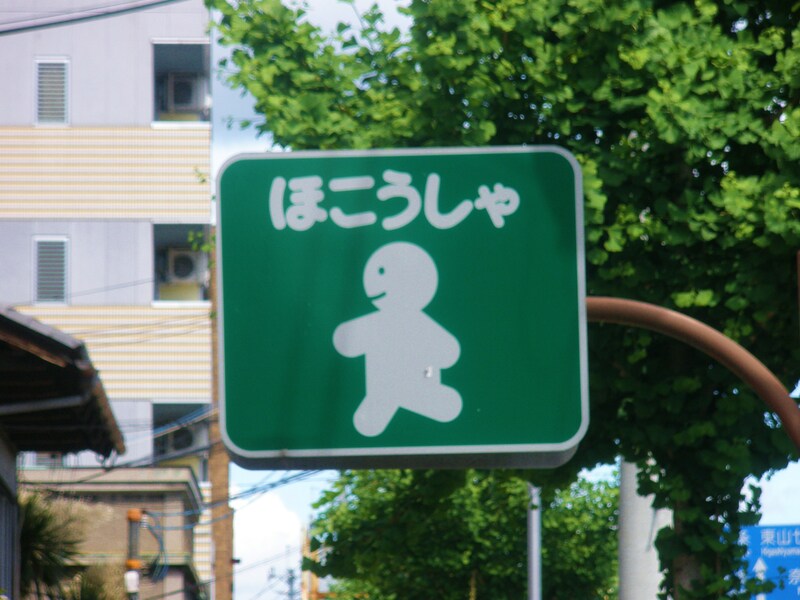 Restricted areas are generally indicated by a sign of some sort, but this sign may be hard to spot and may not be in English. Try asking your hotel about any restricted areas in the city you plan to visit, and make arrangements ahead of time or risk getting ticketed or towed. And if you are lucky enough to get a spot right in front of your restaurant, remember that irritated locals in some cities like to key cars that hamper their space on the sidewalk, so beware. In most countries, tolls are collected for the privilege of driving on certain freeways, or across expensive bridges or tunnels. 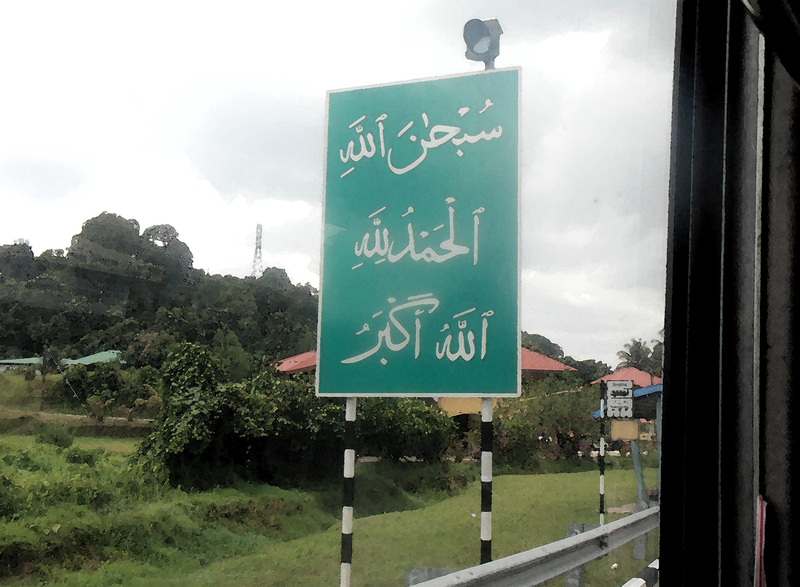 There are various ways in which this toll is collected. The traditional toll booth is of course most recognizable, and the most straightforward if you can pay cash. In some cases, most local drivers “pay” using a device that is placed on the windshield of their vehicle, leaving you to sit in the one manned lane where a booth operator is taking forever to collect the toll. In some places, there are no booths. Tolls are collected by filming the number plate of the vehicle, and the bill is sent to the owner (this is always my favorite part of crossing the Golden Gate Bridge into San Francisco). In this type of setup, the car rental agency will pass this cost onto the tourist. In some cases you can pay a toll by credit card, but be aware that if you pay in cash, your toll may be lower. Painted lines that appear on the roads in different countries have various meanings. For example, a broken white line in some countries may indicate two lanes of traffic flowing in the same direction; in other countries it could be used to divide traffic flowing in opposite directions. Some countries don’t know what paint on asphalt even looks like. Absent any line markings, you may assume that a narrow road is a one-way road, when really it is a two-way road. Fortunately, most countries have clear explanations of what their road markings mean (they are at least more straightforward than rules about parking, at least). Read up, and be sure to keep an eye out for dashed red lines (and crooked green ones too). Many people don’t like roundabouts, and they can be particularly perplexing abroad. In some countries, traffic already in a roundabout has the right of way; in others, a car entering the roundabout has it, while vehicles already in the roundabout must yield. If that isn’t confusing enough, realize that many local drivers forget these rules altogether and take the right-of-way whenever they want it. Roundabouts in many countries are a chance for aggressive drivers to flex their muscle and push you right out of the circle. Know the local rules, hold your ground, and keep moving when you need to (just don’t get dizzy). Enough about driver hardships imposed by your fellow driver or crooked crops: this one’s about the path itself. In many countries, “roads” are made of gravel, sand(! ), dirt, or rocky surfaces. Some are subject to landslides or mini-avalanches. Others are so winding that one distracted moment could send you slipping over a cliff. Many roads (even in Europe) have no shoulder, or the “shoulder” consists of a ditch. Some roads have been built dangerously so that visibility past a certain hill is difficult, if not impossible. Others are grossly uneven, too narrow, right in the path of the sunrise or sunset for what seems like hours per day, or are frequented by tractors, herds of wildlife, or thirteen-year-olds drag-racing in retrofitted lawn mowers (take my word for it). In short, you should be aware of the quality of your road before you decide to drive and not fly. If you have one particular patch of bad road in the middle of your long-winded trip, there’s nothing to say you can’t check in your rental car at Point A, fly from Point A to Point B, and check out another rental car at Point B. To successfully drive in foreign cities and countries, you’ll need to combine your understanding of the rules with your observations of how people are actually driving. When you finally see a cop by the side of the road you’ll know how you’re supposed to drive –but in the meantime, you’re getting from Point A to Point B without getting the “saintlike driver” halo knocked off your head (and a broken neck to go along with it). 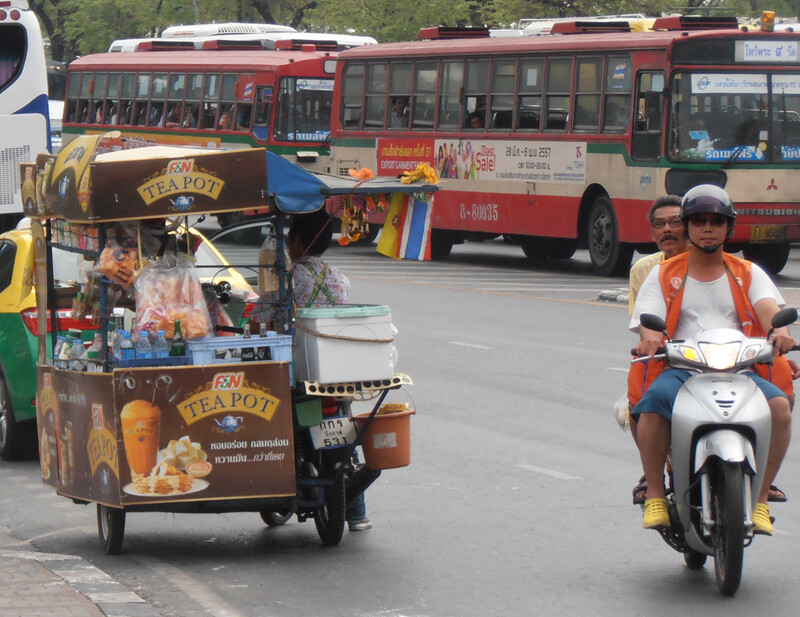 In many places around the world people have a broader idea of what constitutes traffic than in the West. In developing countries, scooters, tuk-tuks, motorcycles, horse-drawn carts, and bicycles may comprise the majority of “vehicles.” Not only are these other drivers in a bigger hurry than you are, but they know the roads better and they probably hate you on sight because you’re well-off enough to be driving an actual car. All these different “vehicles” operate differently and at varying speeds, and can make sudden moves that someone steering a car just can’t make. You can expect these drivers to cut into any leeway space as you’re turning or to merge into your lane after veering off the sidewalk (and if you visit Bangkok or Jakarta enough times, you might even see one drive OVER the hood of your car). Try to stay patient, keep your sense of humor, and turn up your air conditioning – and oh, remember that you WILL eventually get where you need to go. 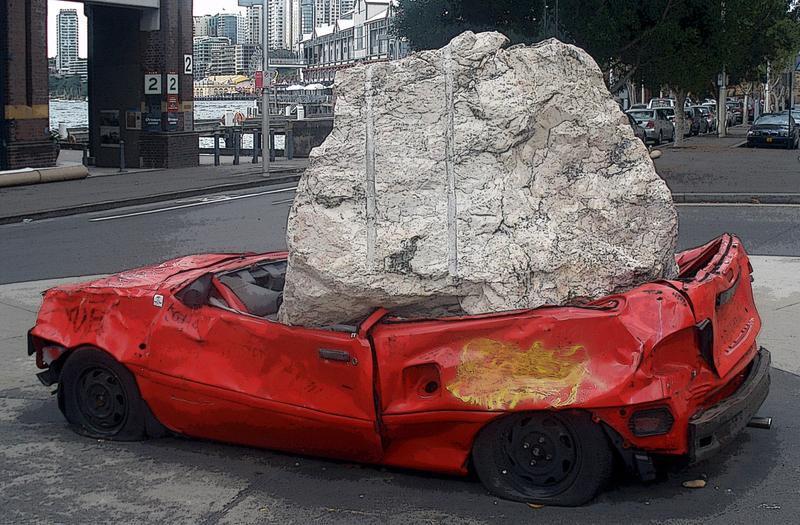 Don’t worry — the chances of a boulder falling on your car in Sydney, Australia are slim to none! Getting from Point A to Point B in a foreign land is a fundamental part of traveling – and should be one of the more enjoyable aspects of exploring a new country. New and seasoned travelers alike take their choice of transportation – whether on vacation or a business or family trip – very seriously. The experiences you’ve had on prior trips with trains, buses, taxi drivers, and short-distance air travel may inspire your desire for independence and solitude, and for many of us, the sense of the familiar: a car. Rental car companies exist in almost every nation of the world. So what do you need to know before you get behind the wheel for the ultimate private tour? There’s a lot you need to understand before you make the commitment of booking a car in another country and becoming a part of that country’s “driver culture.” With peak holiday season coming up, this is a good time to go over the ups, downs, and roundabouts of driving abroad. Yes, there are lots of potential headaches that can come with exotic road trips – but the allure never grows dull. So take a few minutes to start this three-part series on what you need to know about traffic, roads, laws, and plenty of smaller details that won’t quite fit in your glove compartment. If you keep yourself steering in the right direction, you’ll slowly leave behind the anxiety that comes with those pesky train timetables, obnoxious cabbies, overcrowded tour buses, and terminally late hotel shuttles. Before you start dreaming of your foreign road trip, take a good hard look at the license in your own wallet, because you’ll need it. There are some misconceptions about international driving permits (IDPs). An IDP is a document that translates your license into different languages; it is not a laminated free-for-all to drive all over the globe. Since the permit is not a license to drive in itself, you will need to carry your own, domestic driver’s license wherever you go. Not all rental car companies will ask for your IDP, but you should never be caught on a foreign road without it since you in the event that something goes wrong, you will need to present it to police, others involved in an accident, or when filing an insurance claim. Your driver’s license may not be valid in all other foreign countries. Since different countries make up different rules about this important issue and sometimes change rules without notice, check your country’s embassy webpage for up-to-date information. Whether you are allowed to drive with your own country’s driver’s license may also depend on your visa status. Certain countries may allow you to drive there for up to 30 days, but after that require you to apply for a local license. None of this will come as much of a surprise, but it can be difficult to assess whether your domestic auto insurance will actually cover you abroad. Many auto insurance companies in North America claim to “have you covered” overseas, but there are plenty of loopholes in the coverage policies. If possible, have a meeting with your insurance agent before going on your trip, and ask him or her to exchange emails with your rental car agency abroad regarding the type of coverage you’re expected to have in the foreign country. If you don’t fully trust either your domestic auto insurer or your rental car agency, go to your embassy webpage as they may have useful and unbiased information on what is required to drive in a specific country. Automatic transmission is something that many in North America (and increasingly, beyond) take for granted. In many countries around the world, though, renting a vehicle with automatic transmission is difficult, or sometimes impossible – and if you can find it, it can be much more expensive. In North America, it’s estimated that only about 20% of all drivers know how to drive manual transmission (“stick shift”). If you want or need to drive somewhere that only offers rental cars with stick shift, try calling your AAA or department of motor vehicles for classes you can take on driving stick shift. If you’re going to be driving stick shift in a country that drives on the other side of the road, you may opt for a simulator since any practice you get with right-hand stick-shift will be “backwards” when you step into your rental vehicle. Cultural values, such as attitudes about gender, value for human life, and value for animal life can impact how people drive around the world. In some countries, women rarely get behind the wheel; if you’re a woman renting a car in one of these countries (particularly in the Middle East) expect to be stared at, honked at, and have your right of way repeatedly robbed by aggressive macho men and other gents that are just plain outraged that you’re exercising your freedom to roll down the street on your own. In places where overpopulation and endless crowds have left a negative impact on individual psyche, drivers may regard others with all the respect and patience of ants littering their path. Well, no, it’s not quite that bad, but you can generally expect less courteous driving in places where personal space is at a minimum. Drivers in more materialistic countries may be more careful on the road – i.e., make a little more effort not to ram right into you and cost thousands of dollars of damage. In places where the average car looks like it’s older than you are, expect others to take less care in coming within a few inches of your polished, rented fenders. I have great respect and admiration for Aussie, Kiwi, British, and Irish drivers who come to North America and handily take to the wheel on the opposite side that they’re used to. I don’t have that kind of dexterity, and I don’t think I’m alone in acknowledging that I’d probably crash into a tree if all of a sudden I had to drive on the left. It’s one thing to get used to driving on the other side of the road; it’s another to have to suddenly change from one side to the other. Several bordering countries around the world drive on opposite sides, requiring you, the driver, to switch sides once you cross the border. For example, Hong Kong drives on the left while mainland China drives on the right. Thailand drives on the left while all of its neighbors drive on the right. The southern countries of Africa drive on the left, while the remainder of Africa drives on the right. And of course, as we know, Britain drives on the left, while just a short ferry ride away, Belgium and The Netherlands drive, you know, on the wrong side (I mean, on the right side). If you’re on a multi-country trip in any of these regions, ask yourself how quickly you can adjust to driving on the opposite of the road. It may be wise to make your border crossing when you’re most refreshed (i.e., after a nice relaxing stay at a border hotel) and muscle memory doesn’t steer you to the wrong side of the road. As most of us know, traffic laws are generally enforced by either live police officers who have the authority to stop vehicles and issue citations, or by cameras (or videocameras) that film violations, followed by a citation and fine being mailed to the vehicle’s owner. The latter is becoming increasingly common, even in developing countries. A traffic ticket isn’t something you can “hide” from once you leave a country. Many nations have different laws regarding the handling of traffic violations committed by foreigners. Some countries will demand payment of an on-the-spot fine; others won’t allow you to depart until the matter is settled (and this can be quite an embarrassing thing to learn when you’re in the customs line at the airport). If your vehicle is cited by camera, your car rental company will be billed, and the company will in turn tack the charge onto your bill. If for some reason the rental car company can’t do this, they may pursue civil action (think a collection agency, or even a lawsuit). And if the agency operates in your own country, they may be able to take this action in your country’s court system – and they’ll probably charge interest on your fine.